CHRISTIANS TOGETHER FOR CHESTERFIELD: IS THE DAY OF THE SERMON OVER? IS THE DAY OF THE SERMON OVER? Please bring a packed lunch. Drinks will be provided. Kate was ordained in 2001, after seven very happy years as a secondary school English teacher in Yorkshire. Following a curacy in Ripon, she worked as Associate Priest at St Oswald’s Durham and was Chaplain to Van Mildert and Trevelyan Colleges. Following this she was appointed as Chaplain to St John’s College, a post she combined with PhD research as Fellow in Preaching with CODEC which included teaching, preaching and apologetics at Cranmer Hall. 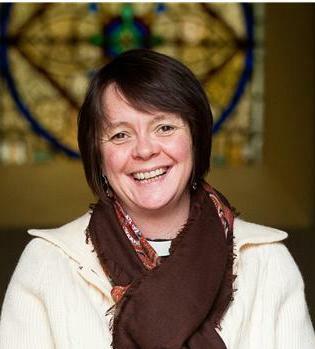 She took up her post as Deputy Warden and Tutor in Homiletics in April 2013. She was awarded her doctoral thesis on imagination and preaching last year, and is currently working to turn this into a book due out summer 2015. Kate is the Fellow in Preaching at CODEC which is a research centre of Durham University, based at St John’s College, exploring the interfaces between the Bible, theology, the digital environment and contemporary culture (https://www.dur.ac.uk/codec/). As part of this she organizes and teaches on the popular Durham Preaching Conferences which are day conferences designed to inspire, support and enable preachers. Kate is often asked to lead days/weekends on preaching for new and more experienced preachers. Details of the next Durham Preaching Conferences can be found at: https:// www.dur.ac.uk/codec/about/events/preaching-conference/ In her spare time Kate enjoys skiing, clay pigeon shooting, stand-up comedy – and chocolate.